This past weekend saw an all too brief visit to Dublin, where I treated myself to a range of new products that I’m excited to use myself and introduce to my brides. Whilst the boys checked out the Six Nations match between Ireland v Scotland at The Aviva Stadium, myself and the sisterhood dropped by The Westbury Hotel for a cocktail and a people watch. The drinks and atmosphere were excellent, and I was lucky enough to have caught a glimpse of the fabulous Pippa O’Connor Ormond at Jo Malone. Pippa has her own fashion, lifestyle, and beauty blog, and she is certainly worth checking out either at her website www.pippa.ie or on her Facebook. I had just seen her on RTE’s Late Late Show on Friday evening, and she is even more beautiful in real life! If you follow me on Instagram and Facebook (and if not, why not?!) you’ll have seen by now that I just couldn’t resist temptation while in the fair city and treated myself to way more than I should! It’s hard to pass the doors of Brown Thomas on Grafton Street without nipping in for a nosy, even if just to listen to the hustle and bustle of the makeup counters, wishing you had a full kit of Charlotte Tilbury, Tom Ford, Bobbi Brown and Chanel! So, what’s in the bags? 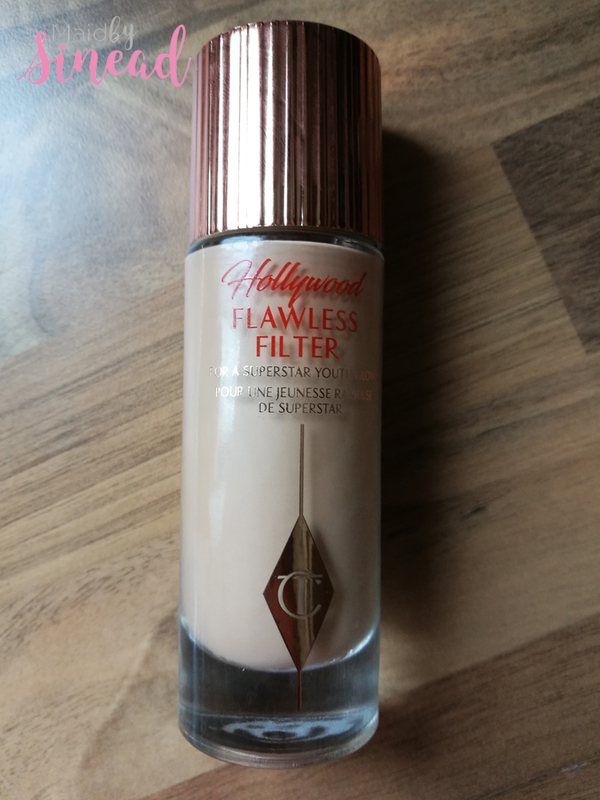 If you have been keeping an eye out, you’ll know I love Charlotte Tilbury products, and they have recently launched their own Hollywood Flawless Filter, a complexion booster for super starlit skin! It acts as a primer and highlighter, with ingredients which are meant to illuminate the skin whilst making fine lines and pores appear smoother. Priced at £30, it won’t break the bank, and after wearing it on Saturday evening, a little goes a long way. I wore it under my foundation as a primer, and after setting my face with Laura Mercier translucent powder I added a little more to the high points of my face, including the tops of my cheekbones, cupid’s bow and just under the brow bone. 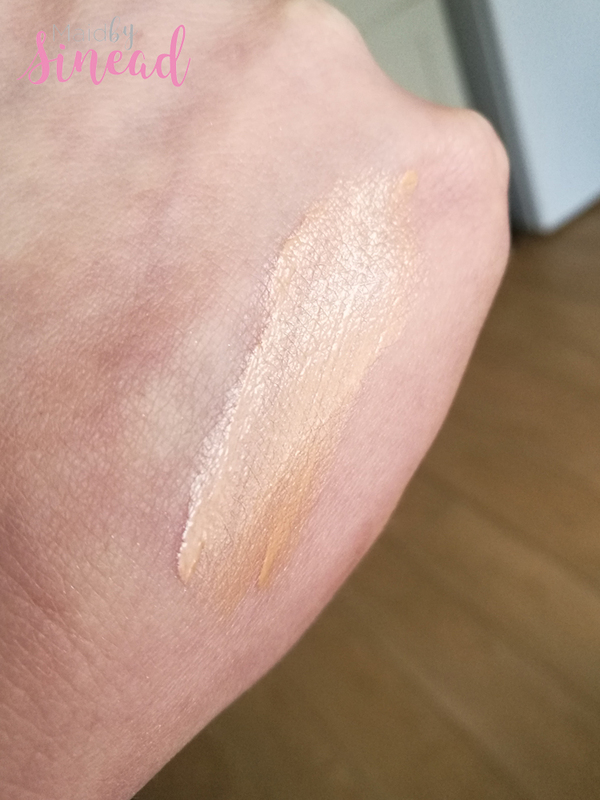 I really like the subtle glow it gave and will definitely be adding this to my bridal kit! 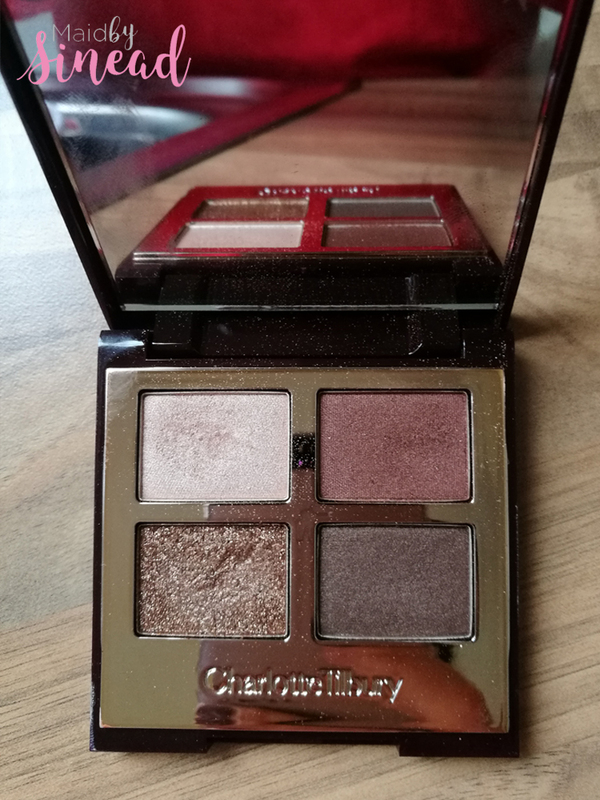 The second product I had been keeping a close eye on was the Dolce Vita Eyeshadow Palette, also by Charlotte Tilbury. Keeping an eye on other beauty bloggers and makeup artists helps me stay up to date, and this was something that always seemed to be on recommended lists. Although I have a few of the other Charlotte Tilbury eyeshadow palettes, this will be my new ‘go to’ for my kit. The luxury quad eyeshadow features luxurious copper toned, bronze, and champagne colours. Perfect for a summer bride with full-colour pigments, meaning you can go as heavy or as low key as you want. Priced at £39, it is sure to last you a while. 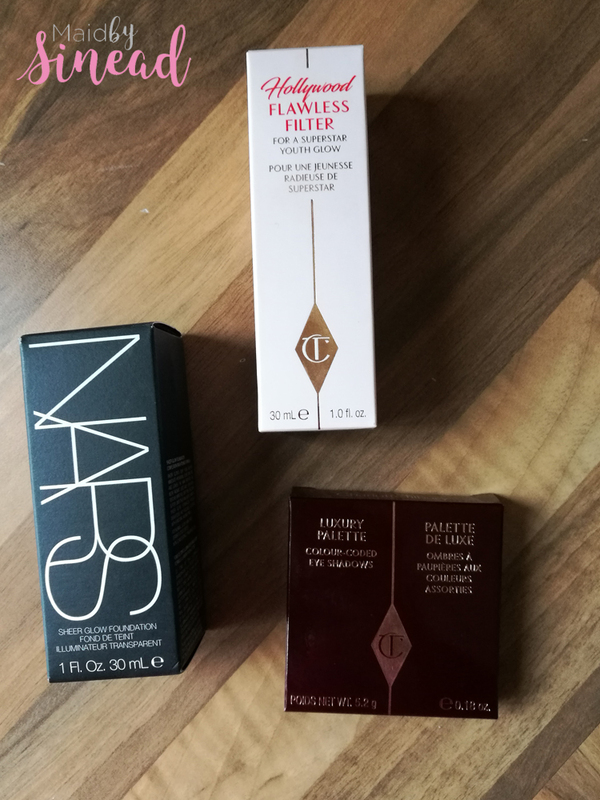 The next pick up was NARS Sheer Glow Foundation. I just love, love, love this, and I wanted to pick up the most popular colour amongst my brides, which is Barcelona. 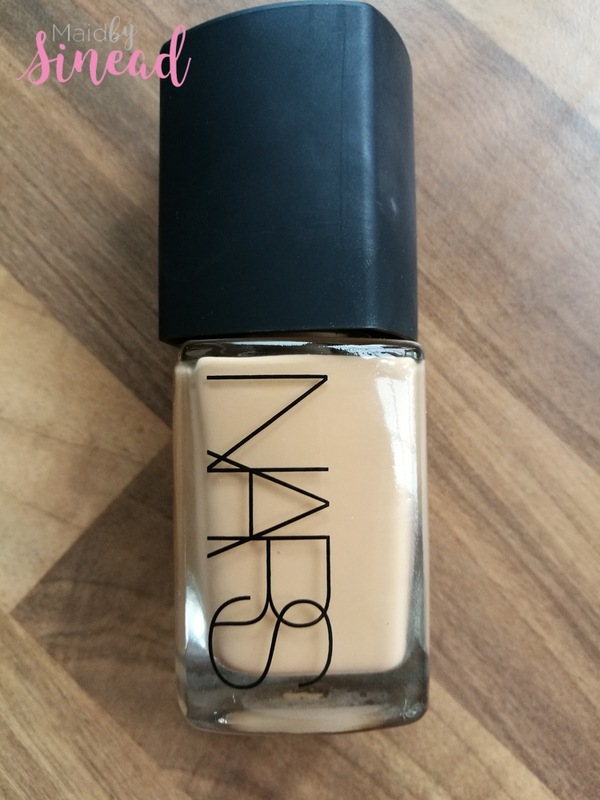 This is the ideal colour for any of my brides or bridesmaids with a glowing tan. It is perfect for medium weight coverage but the option is there to build it up a little. I love the radiant, dewy look that it leaves, and how it photographs my brides with the most beautiful, flawless skin! It is suitable for normal, normal to dry, and dry skin types, although for drier skin I would recommend a water-based primer beforehand to make sure the skin is well prepped and the foundation sits well. Priced at £33 it is certainly on the higher end of the scale, but I think it is well worth having in your makeup bag for nights out and special occasions, especially if there is going to be lots of photos taken! 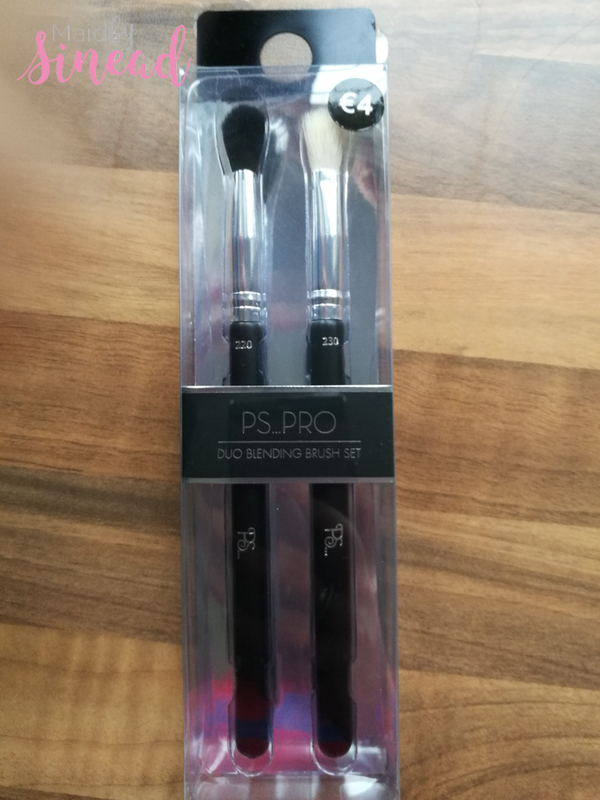 Finally, my last purchase was 2 duo blending brushes purchased from Penny’s on Henry Street. When I go to Penny’s I am immediately drawn to the beauty aisle. The pack contains a black bristled tapered shadow brush and a blending brush very much like the MAC 217 Blending Brush, only synthetic. Generally, I have used these in my own makeup bag and cannot fault them. They are lightweight, soft, and haven’t shed when cleaning. I honestly can’t say anything bad about these brushes, so if you need some brushes that just get the job done and won’t break the bank, then these are definitely for you. I think it’s fair to say that this will be the end of my purchases for a while, at least until the busy wedding season begins and I need to stock up again. Keeping up-to-date with trends in the beauty industry is pretty important for me, and I like to pride myself on maintaining my kit with some of the best brands and products on the market, ensuring every one of the Maid by Sinead brides look their very best on their wedding day! Have you tried any of these products? Got any recommendations? Feel free to let me know what your experience has been!